SUNRISE, Fla., Nov. 20, 2018 (GLOBE NEWSWIRE) — Profile Solutions, Inc. (OTC Pink: PSIQ) announces the appointment of Eddie Nurieli, Esquire (“Nurieli”), a seasoned attorney specializing in real estate, business and corporate transactions, private placements, reverse mergers and international trade with a focus on Cannabis to the PSIQ Board of Directors. Effective December 1st, 2018 until the latter of November 30th, 2020 or the election, qualification and assumption of office by Director successor as a member of PSIQ board of directors, unless earlier terminated, Nurieli shall serve on the Board of Directors and member of the Audit Committee. Since June 2009, Nurieli is the Principal and Founder of Chutzpah Ventures, LLC., a Florida private equity firm focusing on early-stage technology start-ups from Israel including fundraising and business development. Since September 2009, Nurieli is the Principal Attorney of Eddie Nurieli, P.A, a law practice licensed in Florida and New York specializing in real estate, business and corporate transactions, private placement, reverse mergers and international trade. Since January 2016, Nurieli is the Principal and co-founder of Cannaventurez, LLC., a Cannabis sector integrated consulting and holding company providing a platform to access Colorado and California’s regulated and licensed cannabis operations, affiliated with Colorado based nationally recognized cannabis specialty legal counsel for Colorado cannabis laws and regulations for licensing compliance specializing in fundraising, joint ventures, and syndicated cannabis cultivation, extraction, dispensing operations investments, business development and product sourcing from offshore ancillary product manufacturers for the cannabis market. Nurieli graduated from Bernard M. Baruch College in New York with a Bachelor of Business Administration in Finance in June 1985 and received his Juris Doctor from New York Law School in June 1998. 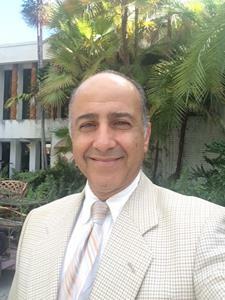 Nurieli was admitted to the New York Bar in 1988 and the Florida Bar in 1991. Nurieli is a member of the The New York State Bar, Florida Bar, United States Federal Court, Eastern District of New York, United States Federal Court and the Southern District of Florida. Nurieli is fluent in English and Hebrew.